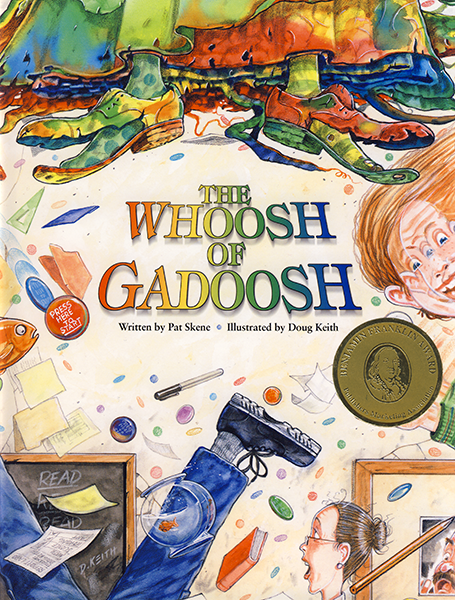 The air sizzles with excitement when kids catch sight of Gadoosh and her wild purple hair. As her floppy inside-out shoes leave the ground, the whooshing caper begins when magic “Press Here to Start” buttons fly everywhere. 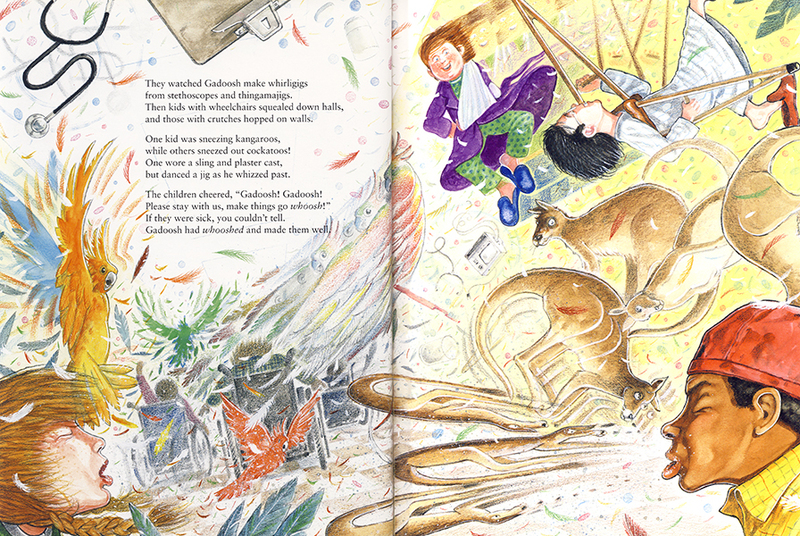 Wacky as Dr. Seuss and reminiscent of Mary Poppins, this enchanting tale whisks us into a world of love and laughter. The colourful and delightfully dazzling illustrations perfectly capture the whimsical, yet powerful message of Gadoosh. Winner of the 2002 Benjamin Franklin Award for best new voice and honored by the Children’s Book Sense ’76 List.